On Saturday night, Eugene and I went to a show followed by drinks at a bar. Technically we went in looking for food, but the kitchen had closed early at 10PM. We decided to stay for a drink anyway, and each picked out something from the seasonal cocktail menu. My choice was a watermelon cocktail that combined muddled watermelon, citrus, and dark rum. One sip and I got excited. "I love this drink! I love it!" I drink a lot of watermelon cocktails during the summer, but for some reason, I've never paired watermelon with rum before. With tequila and vodka and gin, yes, but never rum. 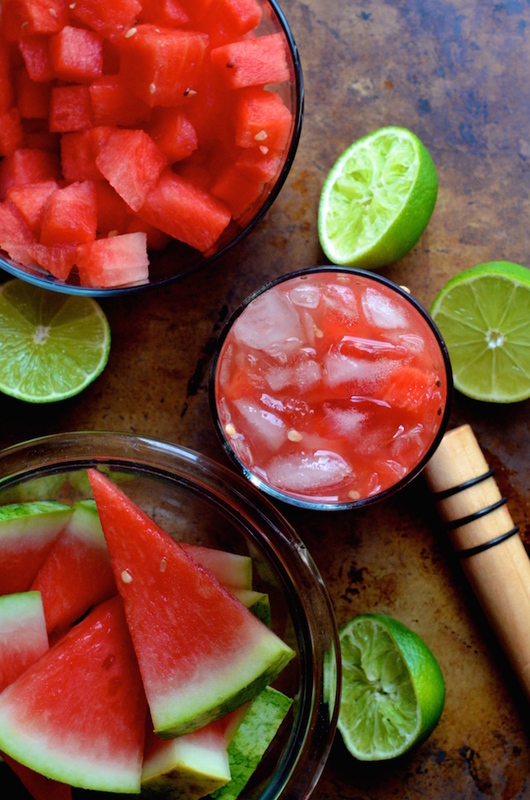 My mistake, because it turns out that watermelon + good dark rum is cocktail magic! This is my version of the drink I had that night. 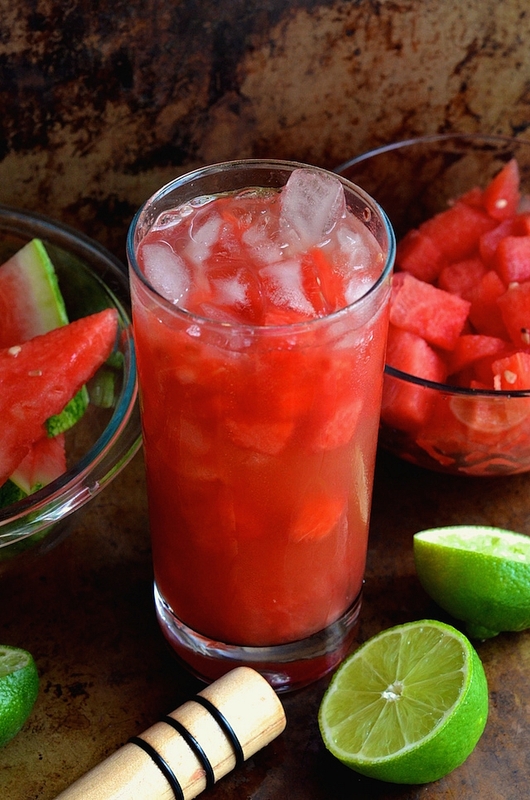 You start off with cubes of chilled, seedless watermelon and mash them down in the bottom of a glass. 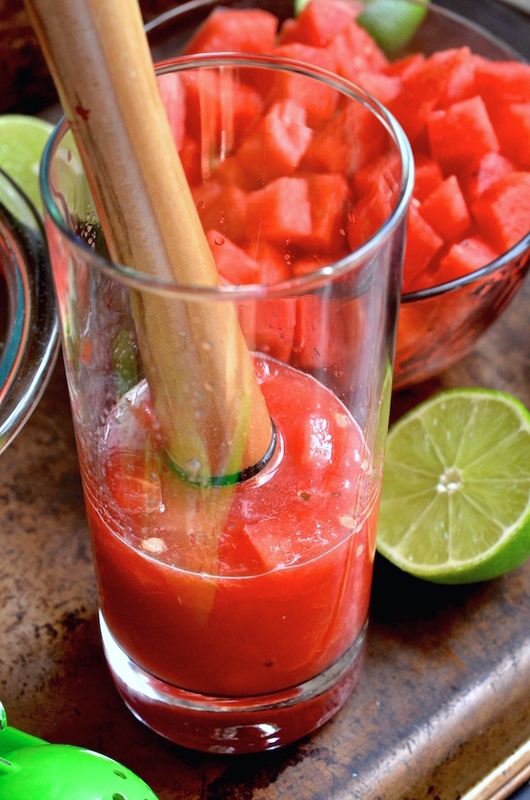 This is the important part--you don't want to puree--you want there to be chunks of watermelon, because then the fruit absorbs the rum and once you drink the liquid part, you can dig a spoon down to the bottom and enjoy spoonfuls of boozy fruit while you wait for the bartender to pour you another one. Some fresh lime juice, a bit of brown sugar if you'd like, crushed ice, and a good golden or dark rum (NOT spiced). I used a Venezuelan rum called "Diplomatico," but I also love "Flor de Caña" rum from Nicaragua. Go ahead and pick your favorite! This is the time of year when people start moaning about how summer is almost over, which is a lot of nonsense. We still have nearly a full month! And with fantastic watermelon rum cocktails like this, I intend to enjoy every single second of it! 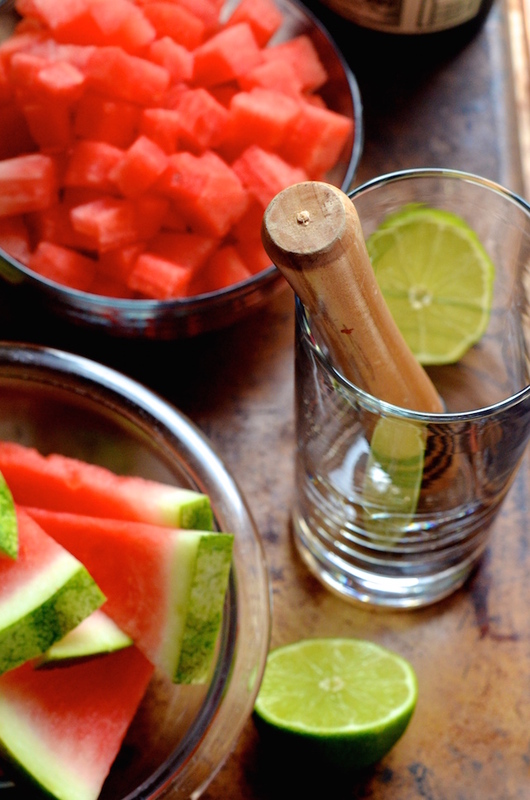 Combine watermelon, lime juice, and sugar (if using) in the bottom of a tall cocktail glass. 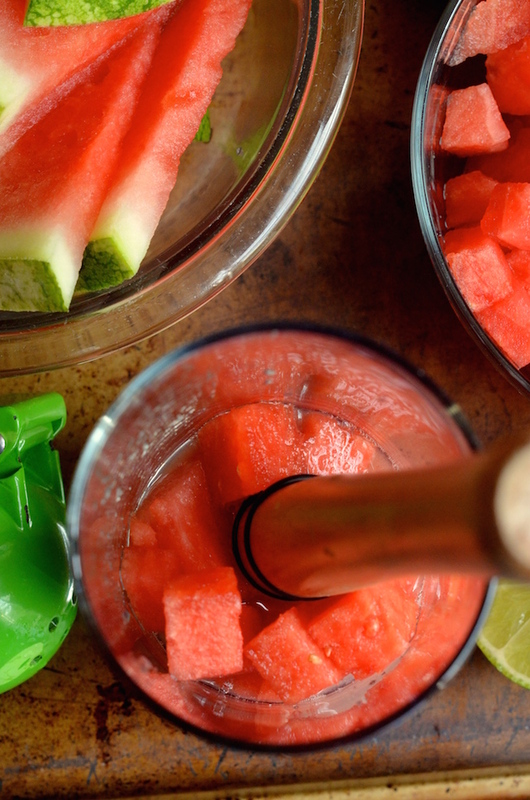 Use a muddler to mash the watermelon. Add the rum, stir, then add crushed ice and stir again before serving.